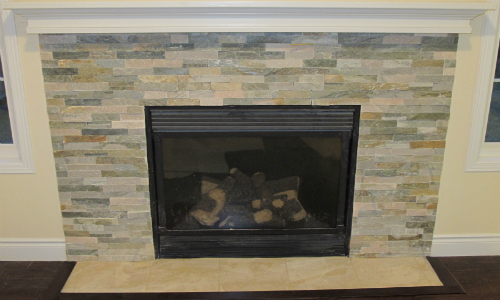 Ledgestone design ideas vary thruout your home including using ledgestone for amazing fireplace surrounds. You can also incorporate ledgestone into your backsplash designs including in your kitchen, laundry room, office and wet-bar to name a few. Ledgestone is also a great option when looking to accent a particular wall or structure. These are some recent pictures of projects we have completed that incorporate ledgestone as part of the design. Cultured Ledgestone comes in a variety of different styles and colour options including dark ridge, winterhaven, harvest, and chardonnay to name a few.